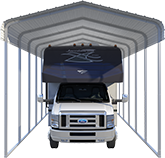 The VersaTube Frontier structure features a vertical sheet metal application on the roof to prevent snow or water build up. The Frontier also features horizontal siding panels. 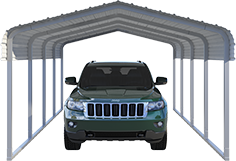 Roof purlins are included for the vertical sheet metal application, but no side girts are required. 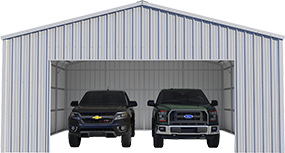 Fewer frame components make the Frontier design a lower cost option than our Summit building style. Before you begin preparing the building site, it is important to consult the foundation drawing for specific details regarding the size and characteristics of the foundation. Here you will find requirements for the foundation width, length, and depth, plus many more important details.